A monsignor who worked at the apostolic nunciature to the United States has corroborated an explosive report accusing Pope Francis of rehabilitating Cardinal Theodore McCarrick despite knowing of his record of homosexual abuse of priests and seminarians. 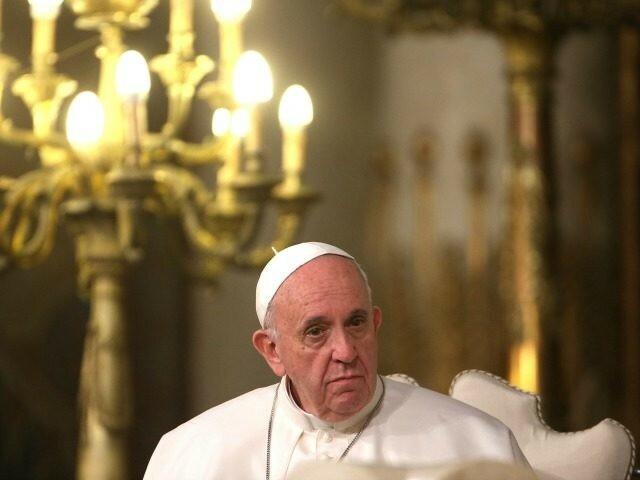 Contacted by the Catholic News Agency (CNA), Monsignor Jean-François Lantheaume, the former first counselor at the apostolic nunciature in Washington D.C., declined to give an interview, but affirmed the veracity of the report by Archbishop Carlo Maria Viganò. In a written 11-page “testimony” published Saturday, the Vatican’s former ambassador to the United States said that Pope Francis had reinstating Cardinal Theodore McCarrick to a position of prominence despite direct knowledge of McCarrick’s sexual abuse. Archbishop Viganò alleged that Pope Benedict XVI had imposed “canonical sanctions” on Cardinal McCarrick in 2009-2010 forbidding him from traveling, celebrating Mass in public, or participating in public meetings, but that Pope Francis later lifted these sanctions and made McCarrick a close personal advisor. In his testimony, Viganò makes reference to Monsignor Lantheaume as having told him of the “stormy” meeting between then-nuncio Archbishop Pietro Sambi and Cardinal McCarrick in which Sambi informed McCarrick of the sanctions that had been imposed by Pope Benedict. Archbishop Viganò replaced Sambi as nuncio to the United States in 2011, at which time he claims to have been informed of the McCarrick situation by Lantheaume. Lantheaume has now left the Vatican diplomatic corps and serves in priestly ministry in France, CNA reported. Viganò claimed that Pope Francis “did not take into account the sanctions that Pope Benedict had imposed on him and made him his trusted counselor along with Maradiaga,” the latter being Cardinal Oscar Rodriguez Maradiaga, the archbishop of Tegucigalpa, Honduras, who has been embroiled in scandals of both sexual and financial nature over the past months.